In our current time when culture is becoming a fusion of the arts, of lifestyle, sports and entertainment, it is essential to challenge the beliefs and conventions that underpin every market. There is a real value in understanding the shifts that disrupt businesses and industries as well as knowing where to find and how to implement trends and tendencies that might be relevant for present or future needs. Here at Golden Patch Management we are applying the best practices in strategy, creative and sports management to help you, your brand or your product to reach your vision and to fulfill your purpose. We’re combining the various aspects of 21st century cultural developments to create commercial opportunity alongside an authentic and unique communication. 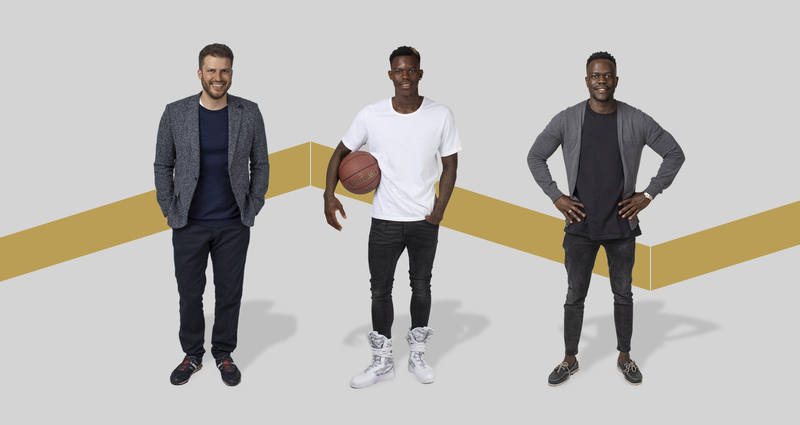 Managing NBA Superstars like Golden State Warriors' Stephen Curry and Milwaukee Bucks' Giannis Antetokounmpo – octagon is one of the major players in the basketball business. With over 25 years of experience Jörg is probably one of the most succesful player manager in Germany. He is responsible e.g. for German national soccer team superstar Leon Goretzka (Bayern München).